These are urbanizations on the beautiful coastal area west of San Jose. 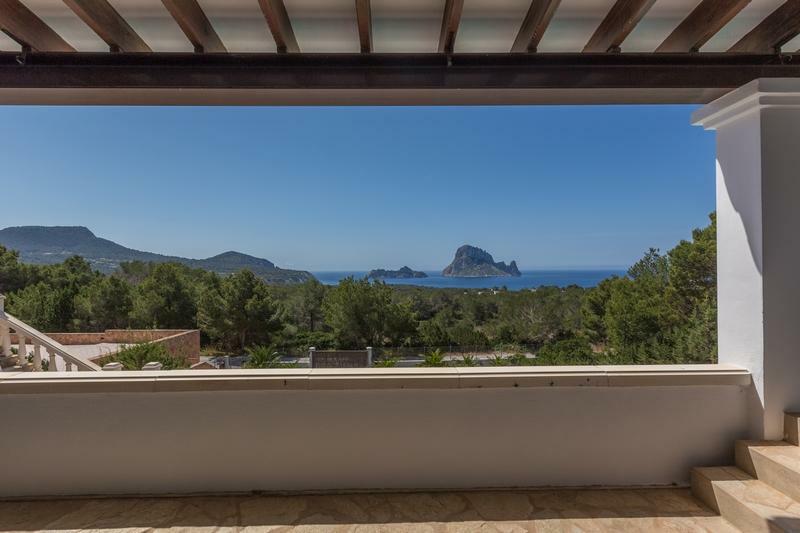 The views in this part of Ibiza are dominated by the “magical” rock of Es Vedra, pine trees and red cliffs. The area is nice and tranquil and very popular with families because of the child friendly beaches. The Cala Carbo beach is at a small cove and has two excellent restaurants, especially for seafood and paella lovers. The area has a small supermarket and provides easy access to the neighbouring urbanizations. The Cala d’Hort beach is 150 meters long and is located directly opposite of Es Vedra, offering stunning views. There are 3 excellent restaurants, especially for seafood and paella lovers. 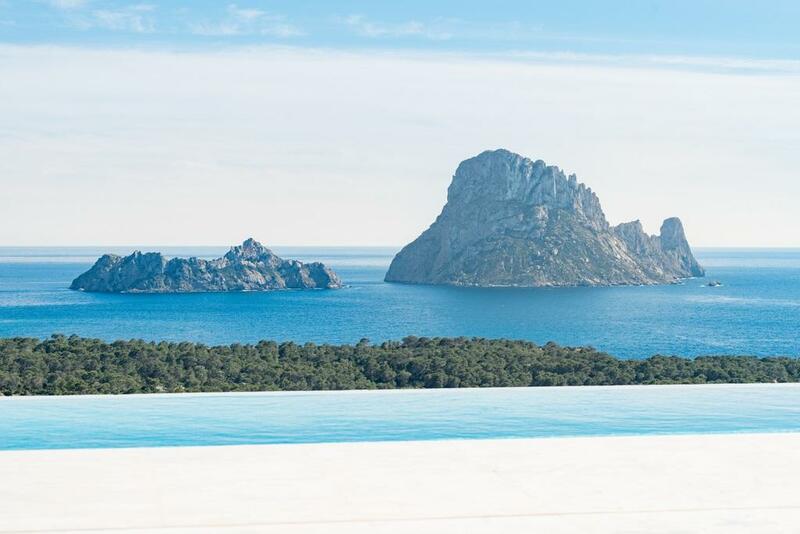 Beautiful and luxury villa with private pool in Cala Carbo, Ibiza, Spain for 8 persons. 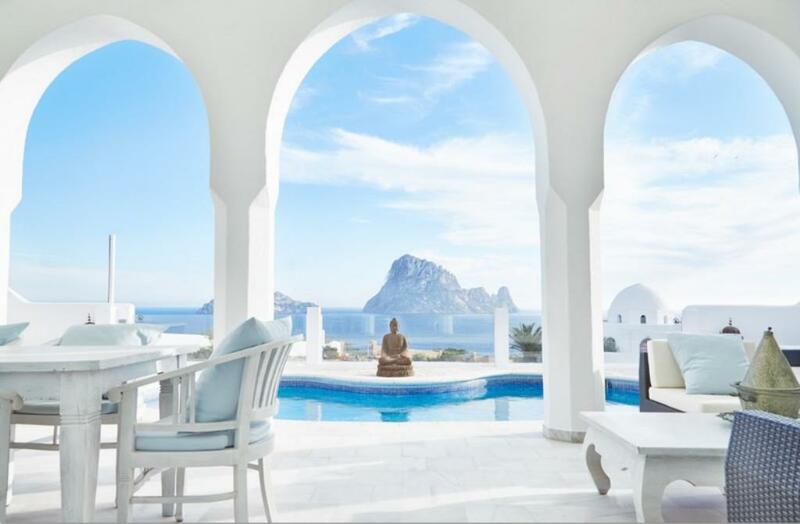 Villa with private pool in Cala Carbo, Ibiza, Spain for 7 persons. Large and comfortable villa in Cala Carbo, Ibiza, Spain with private pool for 6 persons.